They called her The Pepper Lady. I mean, that speaks volumes, doesn’t it? Her ‘real’ name was Jean Andrews. A native Texan, she did it all – a well-recognized illustrator, author, cook, collector and world traveler. Born in 1923, she got her bachelors, a masters and then earned her doctorate (she started that when she turned 50). 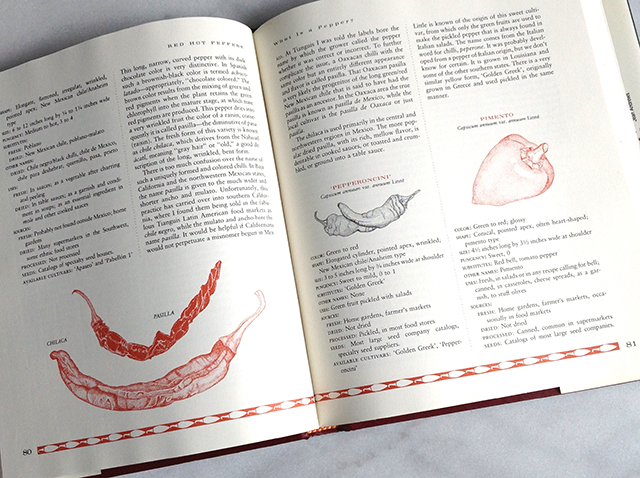 She wrote books about wildflowers and sea shells but she’s perhaps best known for her books on peppers. I came across Red Hot Peppers at Nicholas Potter books here in Santa Fe. I’d heard about her but surprisingly didn’t have any of her books. I snatched this one up, if for no other reason than the copy on the jacket, “A Cookbook for the not so faint of heart.” Here, here. 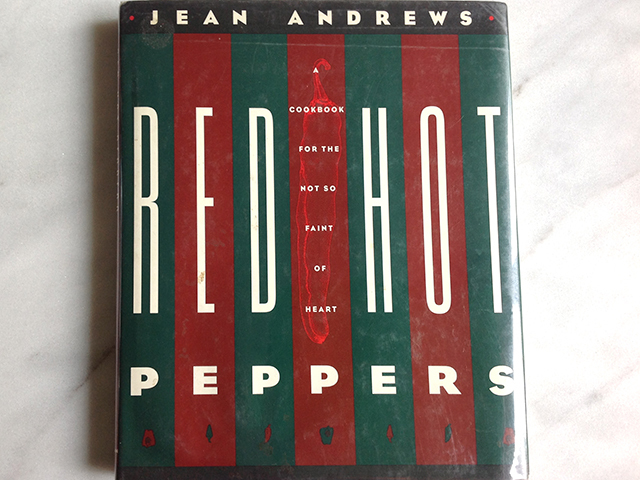 Turns out Jean – who died in 2010 – knew a heck of a lot about peppers. She travelled around the world tracing their path once Columbus brought them back to Europe. During her own travels, she brought back seeds from South America, Africa, and India and grew them back home. She loved chile so much that – according to an article I read – she even had a red Mercedes 380 SL with the license plate “Pequin”. Nice. Go online and nab one of her books. 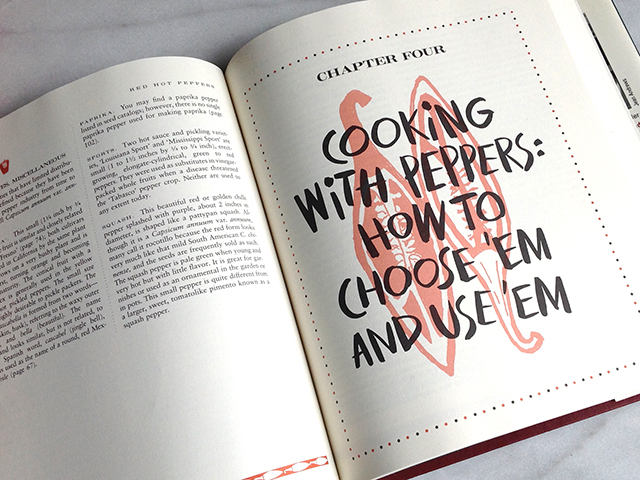 Peppers: The Domesticated Capsicums or The Pepper Trail: History and Recipes from Around the World are two. Enjoy them for the recipes. 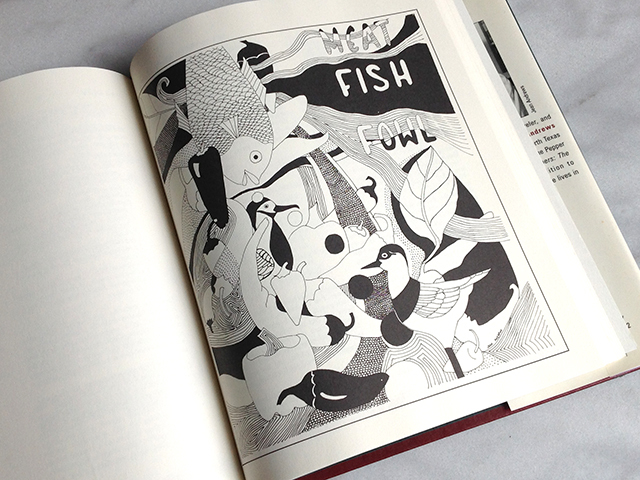 Enjoy them for the illustrations – Jean’s own. But most of all, enjoy reading the words of someone who was full of life and full of love for chile. This entry was posted in Golden Chile and tagged chiles, Jean Andrews, Red Hot Peppers by loschileros. Bookmark the permalink.